Preston North End have cancelled the contract of goalkeeper Wayne Henderson with immediate effect. The 27-year-old former Republic of Ireland international's deal was due to expire at the end of the season. However, an agreement has been struck that allows him to leave the club straight away. 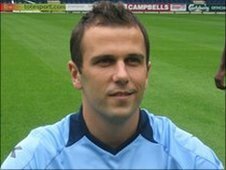 Henderson, who was signed from Brighton by then boss Paul Simpson in January 2007, has struggled with injury this season and not featured in the side.